I want share with you an amazing gallery of pictures taken by our photographer Ron Alder W. He just spotted two Zonda Cinque and a Zonda R at the Hong Kong Pagani dealer SPS Automotive Performance. 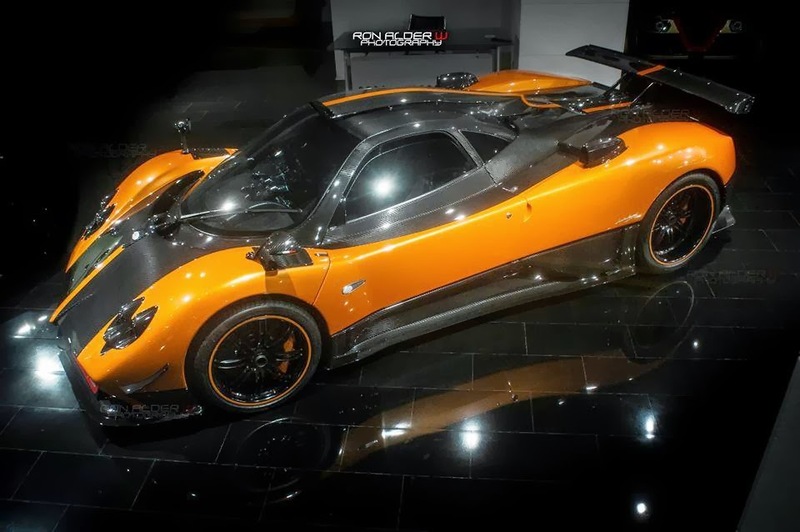 The orange Cinque was built in 2009, it features the Cinque livery but with orange paint instead of white. Also the central stripe which on the other Cinques is red here is orange and the side stripes are missing. The cockpit is characterized by black leather with orange stitchings and like the other Cinques the aluminum parts are black. This car is the second and last Cinque right hand drive built and it carries the progressive number 3 of 5. The green car it's the last Cinque Coupé built in fact it carries the progressive number 5 of 5. It was built in 2010 and has been kept hidden for many years. 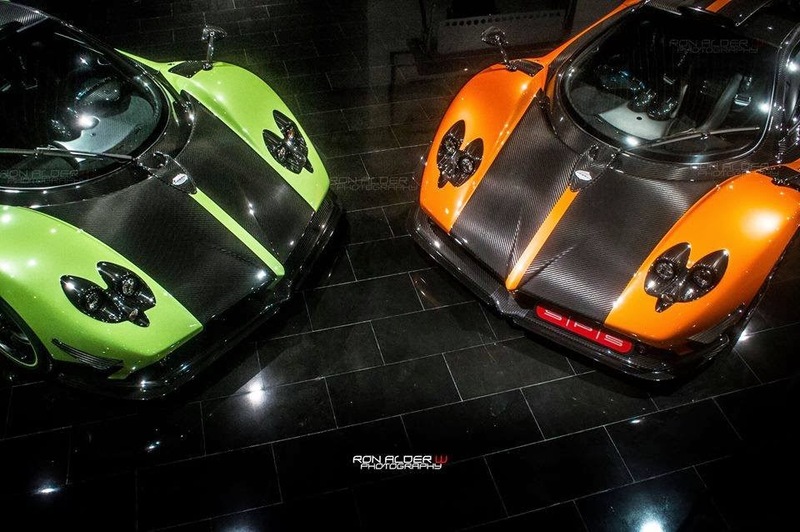 This car is the only Zonda built with a Green body paint, like the orange car this Zonda features the Cinque livery without side stripes while the cockpit is characterized by black leather and green stitchings. this car has never been seen to be driven on the road.